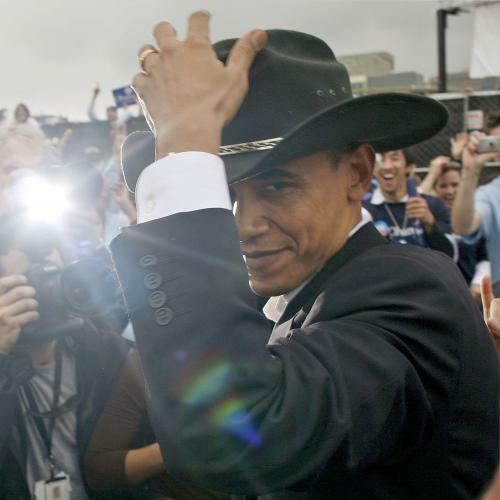 Wait, Can the Democrats Take Texas in 2012? Political observers know that Republicans tend to perform poorly with Latino voters, but even they might have been surprised by a recent poll showing that, among Latinos, Barack Obama would beat Mitt Romney 70-14. Numbers like that are making Democrats more and more optimistic that they’ll be able to consolidate recent gains in Colorado and maybe even turn Arizona blue. But while flipping Arizona would certainly be a major coup for Democrats, it’s not the biggest prize: That honor belongs to solidly-red Texas, with its huge Latino population and its 38 electoral votes. Is the Lone Star state finally in play? The short answer is: Not yet. James Henson, director of the Texas Politics Project at the University of Texas, said it’s “pretty unlikely” that Texas will be competitive this fall. “This is a pretty powerful Republican state,” Henson says. Latinos in Texas do lean Democratic, but not to the same extent recorded in nationwide polls. In 2008, for instance, 63 percent of the state’s Latino vote went to Barack Obama, compared to 67 percent nationwide; 35 percent of the Latino vote went to John McCain, compared to just 31 percent nationwide. For now, these factors all point to a Republican advantage that’s decisive and unlikely to disappear anytime soon. Republicans have a serious demographic problem in Texas, though: Self-identified Hispanics were the drivers of two-thirds of the state’s population growth in the last ten years, and many of these Texans could become Democratic voters. If the state party can register them, Professor Jones told me, they could someday turn out in droves—and overwhelmingly for Democrats. “We have large numbers of Hispanics who are turning 18, who are citizens, and who are being politically socialized in a context where the Republican party is viewed as anti-Hispanic,” Jones told me. If Democrats register these voters, he predicts that the state’s Latino turnout could someday approach the numbers associated with African Americans—where 85 percent or more of the vote goes to Democrats. But this bright Democratic future won’t come about by itself—and the state party tasked with making it happen is weak, underfunded, and under-organized. To take advantage of their huge opportunity, Jones says, Texas Democrats “need to register more Hispanics, they need to get Hispanics with potential to become citizens to become citizens, and they need to get them to vote.” This isn’t happening yet (though some hope that a Hispanic gubernatorial candidate in 2014 could spark a registration drive). But if Democrats are willing to put in the work necessary to register those voters, they’ll have real reason for optimism: A successful effort could change the balance of Texas politics—and presidential campaigns—for decades to come.